It's World Cup Eve, that wonderful time for soccer fans that rolls around once every four years. Tomorrow will see the start of a month-long festival of futebol in Brazil, and FootballTube will make sure you don't miss a thing. The relaunched site will offer betting previews, highlights, vines and gifs of all the action on and off the pitch, as 32 international teams battle it out to be named best in the world. Host country Brazil kick things off in Sao Paulo tomorrow, while Friday's program sees holders Spain open their defence of the trophy against the Netherlands. 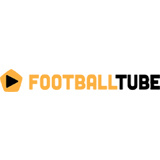 With a huge bank of user-generated content, FootballTube is the only place to be for the next month. Who do you think will win this year's World Cup? Can Brazil win a record sixth trophy on home soil? Can Spain go back-to-back? Might we even see a first-time champion?